A trip to Southern Utah’s National Parks was not on my radar and nor was spending any time in Las Vegas, but when good friends requested we attend their very small wedding in Utah, we accepted. This trip took us to Kanab, Utah by way of Las Vegas. We hadn’t even left the Juneau airport before we discovered a potential hitch in our plans. As we proceeded through airport security, the TSA agent casually commented that Micah’s driver’s license happened to be expired. Having not noticed this beforehand, we both wondered if we’d be turned around before we even left. Surprisingly the agent said, “It’s fine, you can use your license for a year after it expires as an ID, you just can’t drive.” Uh oh. We were supposed to rent a car in two days and although I could have rented the car and done all the driving….neither of us wanted that. I fervently hoped that this would make a funny story later, and not be an indication of a trip filled with mishaps. Our plane was stuffy and smelly, and our stop in Seattle was so short that we had minimal time to find dinner between flights. It turned out, however, that we were on the same airplane for both legs of our journey to Las Vegas, and this plane happened to be the Disney plane! 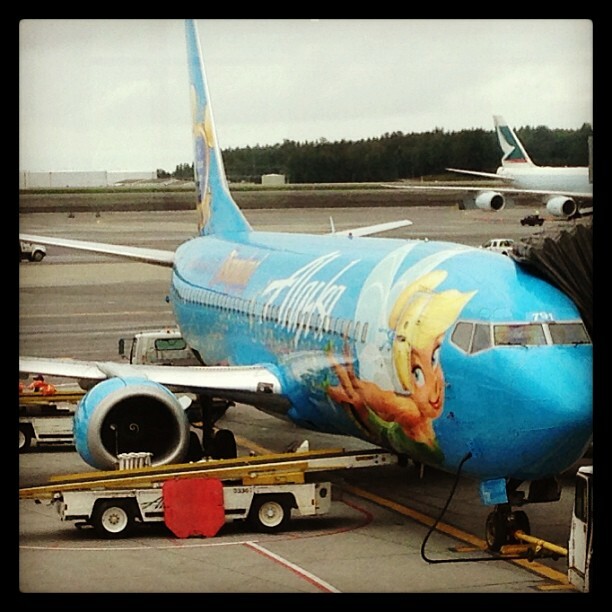 (There are one or two of Alaska Airlines’ planes which have exteriors painted a sky blue with several Disney characters gracing the body of the plane.) Although the inside of the plane is no different than the rest of the fleet, somehow traveling in a plane advertising “the happiest place on Earth” never fails to put me in a good mood. In doing my research for this trip, I happened upon an article on Pinterest called, “The $20 Trick.” The article provided instructions for bribing your hotel registrar into “complementary” room upgrades. Challenge accepted. When we checked in, Micah discreetly placed a $20 bill between his credit card and ID before handing them over. After finding our reservation, the gal behind the counter told us that she was not able to give us the room we had requested, but instead would put us in a room on a higher floor, with a better view, with two beds, and 200 square feet more, all for no extra charge! We took the room keys, amazed at our luck! Our room looked to be the size of any normal hotel room, I can only imagine what kind of room we upgraded from. After putting our luggage in our room, we decided to take a walk and stretch our legs. After sitting on planes all day, a walk at 10pm sounded like a good idea. It’s not like Vegas was going to sleep at that hour anyway, the night was still young! A walk would also help us scout out things and get our bearings for the following day. What we discovered, is that Vegas no longer has slot machines where you can put in a quarter, pull a handle, and happily watch quarters spill out into a tray! All the machines are now digital. Any winnings are printed out on a ticket, which you then take to an ATM like machine to cash out. Also, you can no longer gamble only a quarter. Machines promising only $.25 or even $.01 to play required that you put in a $1 bill. I had prepared for my walk with a quarter in my pocket, ready to do my first gambling. I returned to the room later with that quarter still in my pocket. 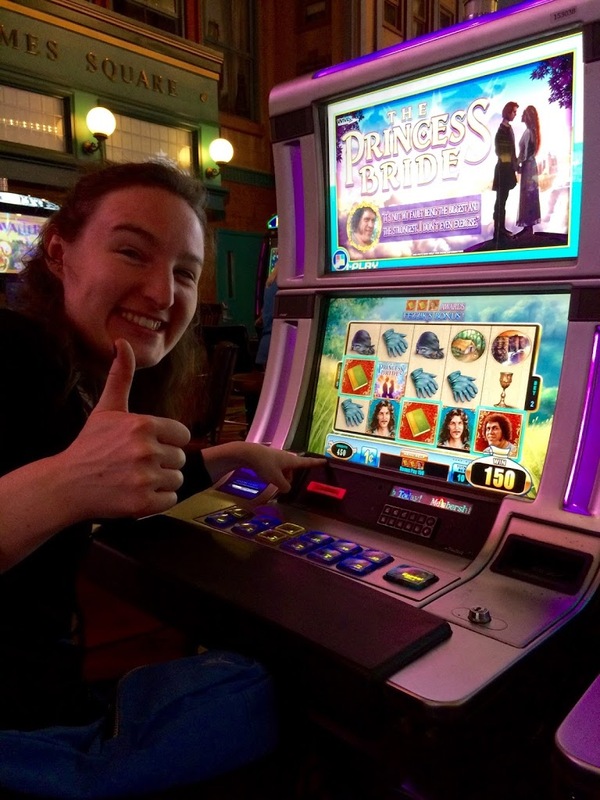 Yes, I found a Princess Bride gambling machine! I won $1. 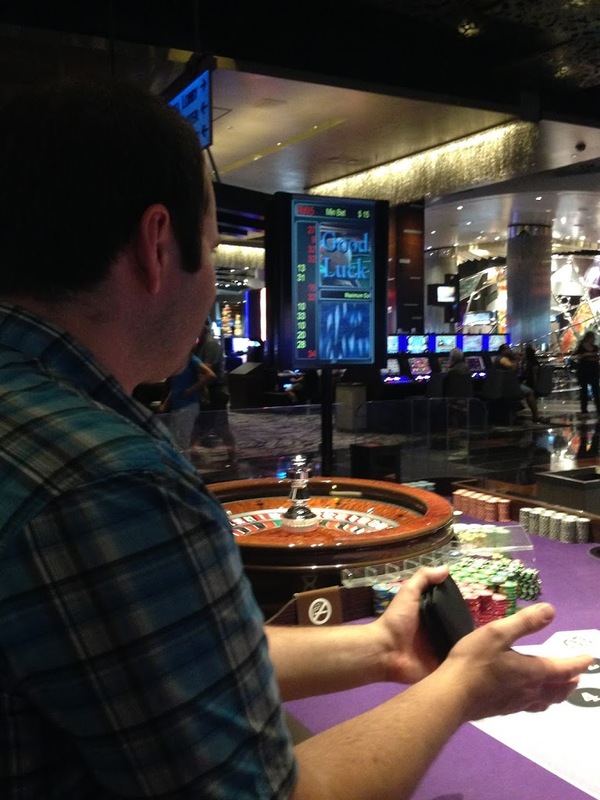 By the end of the trip, Micah was up $50 at the Roulette table! 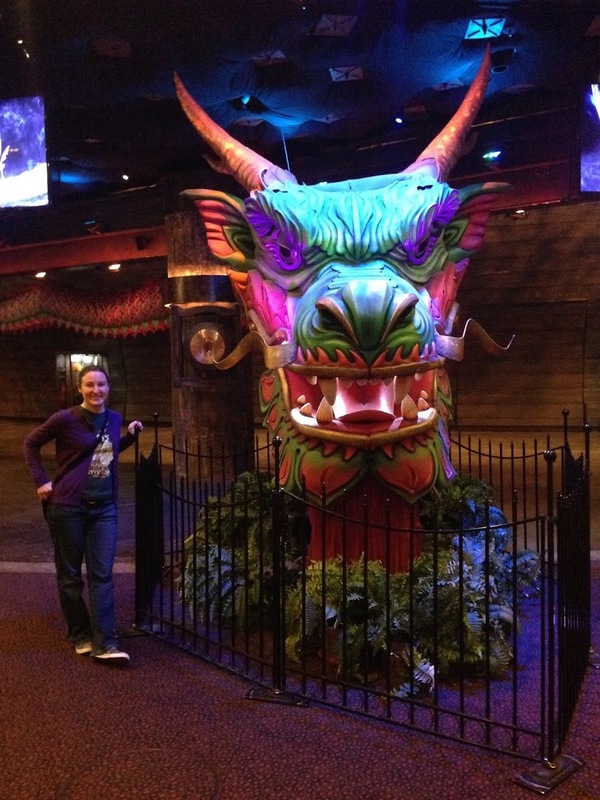 Next Post Travel Log: Las Vegas Day 2, In search of the outdoors.